Holiday shopping is already in full swing and we’re all determined not to wait until the last minute this year. (We can dream, right?) Make your gift giving easy and extra special this year by giving the gift of a North Shore vacation getaway! From lakeside lodging and romantic dinners on Lake Superior’s North Shore to rejuvenating spa treatments at Waves of Superior Spa and unique gifts from the resort shops, our gift cards can be used anywhere in the Bluefin Bay Family of Resorts — at Bluefin Bay, Surfside and Temperance Landing on Lake Superior. 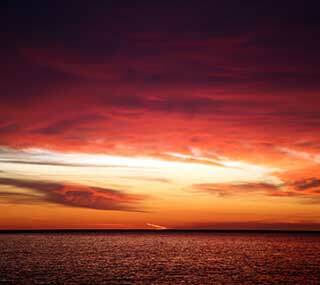 There is something for everyone at Bluefin Bay Family of Resorts. We offer year-round Complimentary Guided Activities for all ages and abilities – it’s a great way to try a new adventure and explore new places. Our complimentary Resort Amenities include indoor and outdoor (year-round!) pools, saunas, hot tubs, free equipment rentals like cross-country skis, bikes, skates, and snowshoes, plus complimentary shuttles to the ski hill and the local winery. We also offer unique dining experiences to please your palette and your senses. And, yes, all have lake views! 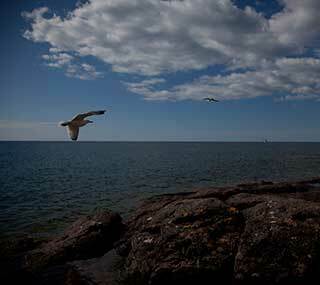 There is always something fun, relaxing, or adventurous to do in Minnesota’s Arrowhead Region known as Cook County. Head to the Visit Cook County website for a listing of all local events, festivals and not-to-miss entertainment happening along Minnesota’s North Shore. With one little card, you’ll be giving lifelong memories. 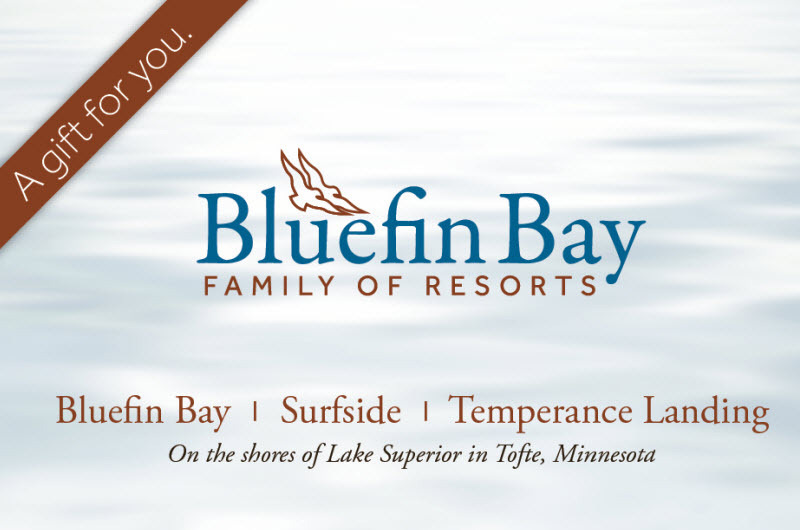 To purchase a Bluefin Bay Family of Resorts gift card, order online or call 800-BLUEFIN (258-3346). We’ll send your gift card out in the mail! Our activities staff have been busy planning a few new guided winter adventures to add to our broad mix of offerings. Check out these fun new complimentary guided activities. We’ve designed them to help you discover unique places and will feature the best ways to trek along a winter trail based on current conditions. Onion River Snowshoe Hike & Bonfire: This snowshoe hike begins at the trailhead to Leveaux Mountain and will lead you through a beautiful cedar forest for a half mile. Our journey will end at a Superior Hiking Trail campsite near the Onion River. We’ll even have a bonfire, s’mores, and hot cocoa to keep you warm! This is an easy hike with relatively flat terrain making it a perfect family activity or for those new to snowshoeing and winter hiking. While there you may want to take a quick jaunt a bit farther down the trail to a quaint bridge that leads across the Onion River. Keep very quiet and you may hear the river flowing beneath a layer of ice! Snowshoe Hike at the Lookout Mountain Loop: Join us for a guided snowshoe hike to the top of the beautiful Lookout Mountain in Cascade State Park. When the snow is deep and fluffy we will outfit everyone with snowshoes for the trek. When the trail is covered in packed snow we will outfit our boots in traction cleats for a non-slip hike. This adventure starts out gradually along the Cascade River and then leads to a steeper climb to the top of Lookout Mountain. 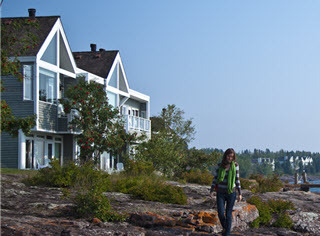 Enjoy the incredible views of Lake Superior and the eastern view of the Sawtooth Mountain range. Photo op! The total trip is 3.5 miles and the difficulty rating is moderate. 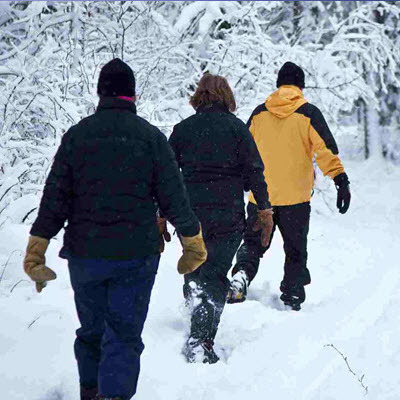 Benson Lake Snowshoe Hike: We’re excited about this new hike in the beautiful George H Crosby Manitou State Park. This adventure will begin with a half mile hike to the park entrance road until we reach Benson Lake. Once at Benson Lake, the trail loops and takes you on a 1-mile walk through scenic spruce and cedar groves. When the snow is super deep and fluffy we will take out the snowshoes and float on top! Wildlife spotting alert: This is a rugged, wilderness park where bears, wolves, moose, deer, and grouse share the trails with hikers! There are also plenty of opportunities to stop and enjoy the scenery of Benson Lake. The total trip distance is 2 miles and considered easy to moderate in difficulty. It’s time to start embracing winter weather – it looks like it’s here to stay. We sure are getting excited about all of the winter adventures to come! Our friends at Lutsen Mountains have been jumping for joy as the recent nightly temps have stayed low and we’ve had a couple snowfalls during the past week. This will help them provide us all with a nice long ski and snowboard season. 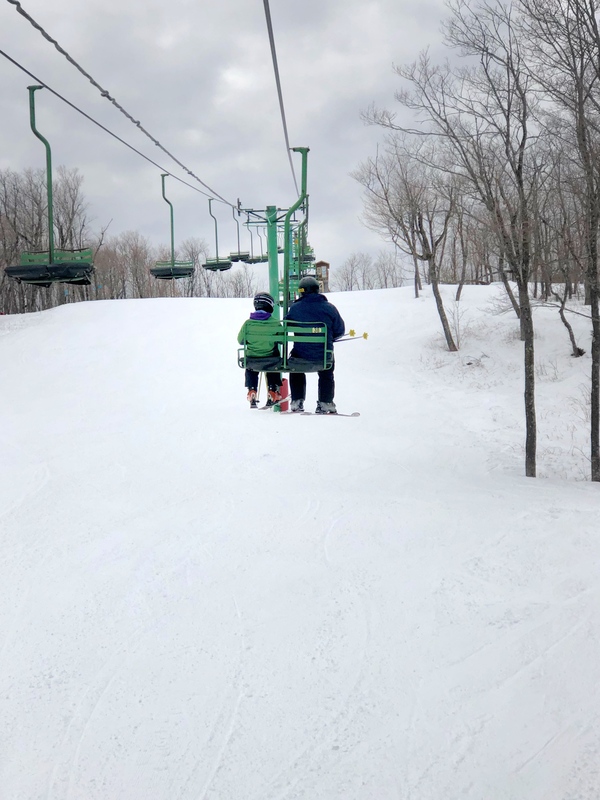 Lutsen Mountains is planning to open this weekend, November 17 & 18, with 1 lift in operation and 3 runs. They will also be open on Thanksgiving weekend and project to have 3 mountains and 12-15 runs open. After a day of relaxation and lots of good food on November 22nd, you’ll love some time spent on the slopes! Stay up to date with conditions on the Lutsen Mountains website. Check out their new live cam where you can see the current conditions. 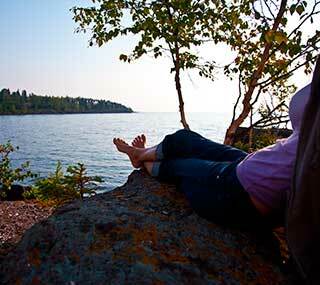 It’s a great way to spend some time daydreaming about your next North Shore winter vacation! Bluefin Bay Family of Resorts is the perfect home base for your skiing and snowboarding venture with our Ski and Stay Packages. This season’s ski & stay packages are not quite ready yet but they will be up soon! Until then you can purchase tickets from the mountain ticket office or online. Our front desk and reservation staff are always available to help with any questions you may have regarding purchasing tickets. We also offer complimentary shuttles to and from the ski hill, allowing you to experience the convenience of slope-side lodging while enjoying our unmatched seaside location and views. Enjoy a November North Shore getaway and celebrate Thanksgiving at Bluefin Bay Family of Resorts! Leave the cooking up to us and indulge in our Thanksgiving Buffet at the Bluefin Grille. 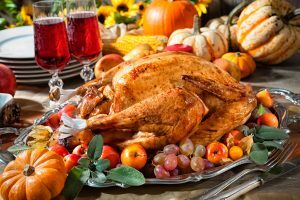 We’ll be serving up a traditional buffet from 1-6pm on Thursday, November 22nd complete with chef-carved meats, classic sides, harvest platters, soup, salads, and bakery treats. You can view the full menu and details here: Thanksgiving Menu. Please call 218-663-6200 to make your Thanksgiving Buffet reservations. THE GALES OF NOVEMBER! Wave watching in November and December when the gales whip up the lake is a favorite activity by guests and locals alike. When nature puts on a show, you want a front row seat and there is no better place to watch the Gales roll in than from the Bluefin Bay Family of Resorts. Take advantage of the Gales Offer – stay three nights and get one FREE! 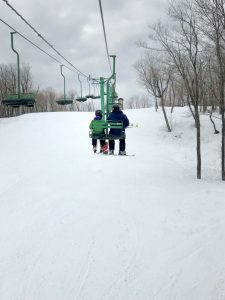 LUTSEN MOUNTAINS IS OPENING! The early snowfalls and lower temps have been optimal for the snowmakers on the ski hill. Lutsen Mountains is currently planning to open for skiing on November 17th! Combine your Thanksgiving festivities with a little skiing! Stay tuned to the Lutsen Mountains website for ski hill updates. HOLIDAY SEASON KICK-OFF! We get excited about the fun local activities and events that happen in our cozy North Shore community this time of year. Countless outdoor activities and cozy indoor relaxation are high on everyone’s list but there are also some fun special events and festivals that you won’t want to miss. Find family fun and joy at events like the Oh Ole Night in Grand Marais on November 23rd and Light Up Lutsen on November 24th. Find more information on these events plus many other activities, special events, and live music on the Visit Cook County Events Calendar.